Thanks to the H.BSc that follows my name and the hopeless romantic in me makes it a requirement that I read any novel that uses a scientific term in its title. I’m a fan of the best friends to more trope, especially in YA, and the promise of a scientific theory to back up why that might not be the case for these two? I was excited to see how this experiment would play out. 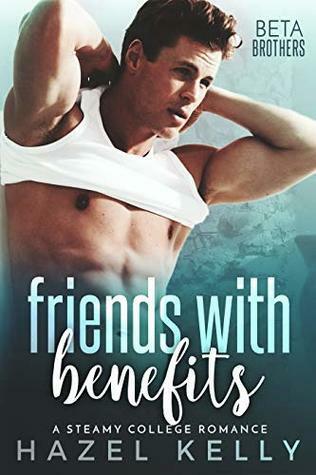 This story definitely felt like it was more of a coming of age novel than straight romance–and I really liked that. Eli and Nora have a lot going on in their lives now that they are seniors in high school. They’re beginning to feel the pressures from family and friends when it comes to deciding what’s next. Throw in their long buried crushes on each other and the mutual agreed upon love of pies and you’ve got a bit of a sticky situation. This book had me at the start. I loved Eli’s goal to make Nora see him as more than a friend and I liked how Nora was unknowingly trying to counteract that. It made from some sweet moments between them. However, it started to lose me in the middle when everything just seemed to repeat itself with nothing completely new to add to the story. It rounds itself out in the end with some solid character growth but my interest did start to wane. I’m really glad that we got both Nora and Eli’s POV in this story because it does shed some light on why they act like they do. They have their moments of immaturity but I did find that they grew up as the story progressed. I wasn’t blown away by either of them but they worked well for this story. I do have to give a shout-out to Eli’s autistic brother Ari. He was fabulous and a breath of fresh air in this story. He really grounds the story in a way that benefits everyone. These two are super cute together, no denying that. I liked that they always had these feelings bubbling up at the surface–I love the type of tension that brings to a story. It’s a touch cliché but these two have enough quirks to keep it interesting. I had no idea that this book was the sequel of sorts to The First Kiss Hypothesis so it was a welcome surprise when I started reading and notice we were back at Edinburgh High. This book started off strongly for me. I loved watching Alex moon over Bailey and fight his feelings for her while she explains her film making plan. That’s the sexual tension that keeps me hooked and wanting more. But I can’t help but feel that if I got to see these two interact a little more before the start of this book (ie the start of their friendship), I would have rooted for them a little more than I did. Yes, they are cute together and I can see why they are drawn to each other but I wanted that connection established a little more. Unfortunately, the last half of the book is plagued by bad communication and assumptions on both characters parts and it’s a little frustrating to endure as it occurs in a slightly repetitive way. I get their fears of rejection but their defensive tactics always seemed premature to me–which in turn made the characters come across as immature. Which brings me to the character development. I was very disappointed in Alex’s lack of growth as a character. To me, it was almost like he unravelled as the story progressed. I was a huge Alex fan at the start but his angst towards his parents (no matter how justified) never seemed to contribute positively to his coming of age story. I felt like that was a bit of a missed opportunity because the romance overshadows any character growth or resolution. If you enjoy cute coming of age stories where best friends fall in love, this perfect for you!